Waitrose, the food unit of the UK’s John Lewis Partnership, is to open a 26,000 sq ft store in the Akoya by Damac Retail Centre, it was announced on Wednesday. Set within the 42 million sq ft golf and lifestyle community in Dubai, Waitrose will be the anchor tenant of the precinct which will include high-end shopping outlets, a pharmacy and restaurants. The shop will be the eighth Waitrose to open in the UAE under a licence through the retailer’s partnership with Fine Fare Food Market (FFFM), Damac said in a statement. Akoya by Damac, which is set around the Trump International Golf Club, Dubai, will include 4.3 million sq ft of private parkland, with luxury branded villas by Fendi, Paramount and Trump. “Waitrose is the ideal anchor tenant for the Akoya by Damac Retail Centre,” said Niall McLoughlin, senior vice president, Damac Properties. The retail centre will cover a total of 94,500 sq ft with upscale casual dining options, cafes, a pharmacy, travel agency, dry cleaners, opticians and a host of fashion stores. Construction at the site is already well underway, with the first handover of units scheduled for completion by the end of 2015, Damac said. 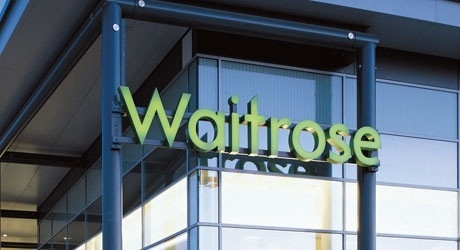 There are more than 280 Waitrose branches in the UK and seven currently in the UAE. “We’re delighted to be opening another Waitrose shop in the UAE, bringing the retailer’s quality food and great value to more people,” said Patrick Lawrence, property manager for FFFM. The Akoya by Damac master plan was unveiled at the end of April 2013 and the Dubai developer said “a great deal of work” has already been undertaken on site in the past eight months. It said more than 100 work orders and packages have been placed and the Trump International Golf Club, Dubai is taking shape under the guidance of internationally-renowned architect and designer Gil Hanse. Damac said it has completed 8,887 units to date and has a further 23,688 units at various stages of progress and planning across the Middle East region. Posted on January 15, 2014, in #middleast, #retail, #uk. Bookmark the permalink. Leave a comment.